We put 16 USB 3.0 hard drives to the test based on user needs, to pick out the best of the lot that is compatible with your requirements. 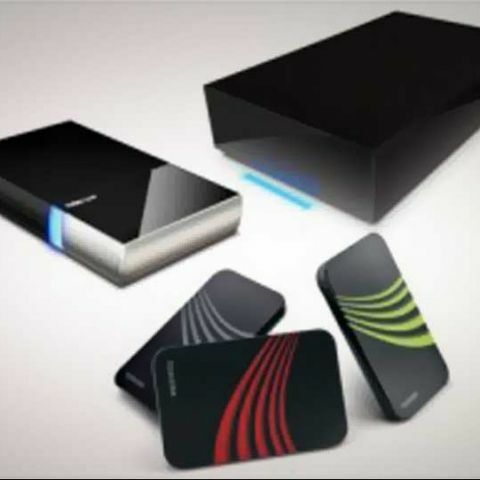 Portable hard drives are different from regular external hard drives in the sense that portable drives don’t require external power. Just take a portable hard drive, slide it in your pocket or bag along with a short data cable and you’re good to go. This makes life easy for most of us who move to and fro between our work and home and always need to carry our important files along with us. Due to the recent volatility in the Dollar-Rupee exchange rate, the price of components has gone up but nevertheless it’s still not too late to get a portable hard drive at a reasonable price. And this test should help you make an informed decision. All the drives that we received for the test were USB 3.0 drives and one drive that also had a Thunderbolt interface. We’ve performed quite a few tests to gauge the performance of each drive. And since most people have different capacity requirements, we’ve grouped the drives into two simple categories. The first category contains drives that provide up to 500GB of storage space. And for users who need more we have the other category consisting of drives ranging from one terabyte to two terabytes. Without further ado, let’s take an in-depth look at both categories so that its easier for you to pick one that best fulfills your storage needs. These portable drives are for people who have low to moderate space requirements. Ideally, 500GB drives are best suited for people who consume a huge volume of data and don’t intend to store anything for long. We received six 500GB drives for the comparison and while testing them we were shocked at how fast some of the drives were, specially during real world transfer tests. The 4GB sample files transferred just under 9 seconds. Turns out that most of these drives have plenty of cache memory which in turn allowed the drive to complete small time transfers with great ease. Compared to previous generation drives, the performance increase is enormous and the 5Gbit/s USB 3.0 threshold was easy to hit. Design wise, the ADATA HE720 was the most sophisticated looking. It is completely enclosed in a full metal stainless steel body and is one of the slimmest drives we’ve come across. The drive has a brushed metal finish coupled with a glossy metal band around the middle region. It has a one-touch backup button at the front that triggers the ADATASync utility which comes preinstalled on the drive. This drive also supports ADATA’s HDD-to -Go utility that can be used to install and run portable software directly from the HE720. The Buffalo Ministation Thunderbolt HD-PATU3 was another well built drive and was the only one to sport a USB 3.0 port and Apple’s Thunderbolt interface. The drive is encased inside an aluminum casing which covers the sides and the bottom. The top part of the drive is made out of translucent plastic and is fixed well. Though bigger and bulkier than all other 500GB drives in the test the Buffalo Ministation is built sturdily. And has a design reminiscent to that of Apple products. It comes with a single Thunderbolt port which means that you can only daisy-chain this drive with other Thunderbolt compatible products. There's a Thunderbolt cable bundled with the drive as well. Thunderbolt as standard offers a bandwidth of up to 10Gbit/s but in order to compare its results with the other drives in the test we used the USB 3.0 interface only. The HD-PATU3 has support for Mac Time machine backup software. The SimpleSave P2050B from HP also had a brushed aluminum finish but only on some sides of the metal casing. The drive is designed to mimic the shape of a book with one side made of metal and the other in plastic. However, we would’ve liked a full metal body. The HP 2050B’s PC Mark 8 scores were lower than most other 500GB drives and fared well in a few real world tests. But synthetic tests didn’t put the drive much ahead of the competition. 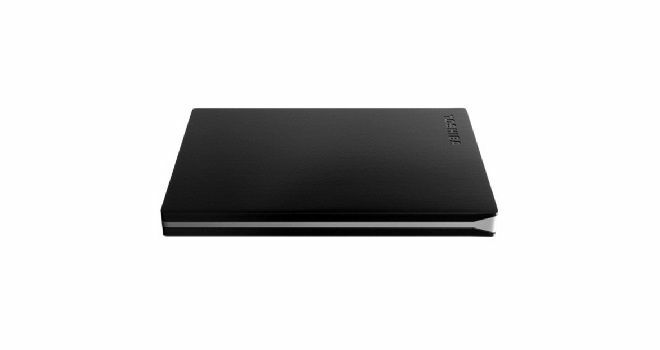 Seagate’s Slim 500GB drive has a standard rectangular shape made out of plain black thin metal. 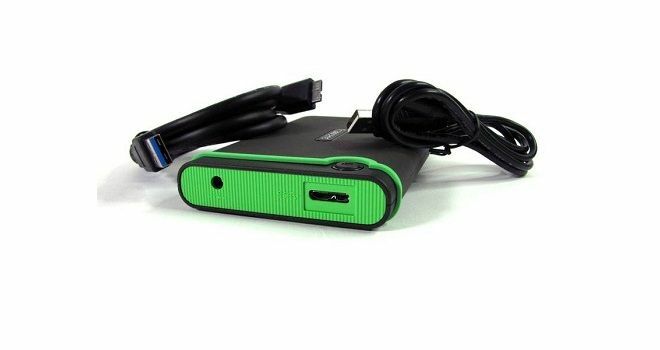 The drive comes with a SATA-to- USB 3.0 adapter attached to it. The main idea behind providing a removable adapter with the drive is that you get the flexibility to remove the included adapter and purchase a Thunderbolt or FireWire based adapter and use this drive with any of the three interfaces. Seagate Dashboard software is easy to navigate through and allows you to perform instant and scheduled backup operations. Performance-wise the Seagate Slim STCD500400 was the slowest performer of the pack but its features helped it redeem itself. Given a low street price of just Rs. 4,150 this drive is worthy of consideration. For performance testing, we divided our tests into two categories – synthetic tests and real world tests. Synthetic benchmarks give an overview of the raw performance for every drive. Our tests included a full run of PC Mark 8 storage benchmark which gave us thorough results along with the time taken to run application based tests using Adobe Photoshop, Adobe After Effects, Microsoft Powerpoint and Battlefield 3 to name a few. Next we used Crystal Disk Mark to run 3 passes of 0x00 Fill and Random Fill. We took into account the sequential and 512K read and write scores using a test sample of 100MB. The next synthetic benchmark used was the SiSoft Sandra 2013 to obtain drive index read and write scores along with the access time for data read and write. Real world tests give an accurate account of what a user should expect from a particular drive. So for real world scores, single file read and write tests were done using a 4GB and a 20GB file separately. For multiple file transfer tests, we used similar data sets totalling up to a collection of 4 GB and 20 GB each, of assorted files. Intra drive tests were also done to know about transfer rate for read and write within the same drive by creating two partitions. We used a digital stopwatch to record the file write and file read timings for all the single and assorted read/write tests. The benchmark tests. Click on table to enlarge it in new window. The Toshiba Canvio Slim S-3600A was another slim drive in the comparison. In fact, the S-3600A was the smallest drive when compared to the others. It has an appealing design with a black brushed metal casing and silver coloured accents along the sides. Toshiba’s backup software greatly adds to the Canvio Slim’s features. The performance of the S-3600A is good and it is a decent drive for Rs. 4850. The next 500GB drive is again from Toshiba – the DTP105. While not as well built as the S-3600A it has a curved design at the sides and a brushed plastic top. A noteworthy feature of this drive is the internal shock sensor. While in operation, the drive senses if it is falling and powers down before hitting the floor. The performance of the Toshiba Canvio Simple DTP105 was at par with most of the drives but its brother – the Toshiba S-3600A was better. Among the six 500GB drives we received for the comparison, we were happy to see that most of them had a strong metal body which is something we’d like to see with all upcoming drives. The difference in performance between most of the drives featured here is very low but the features and build quality scores allowed for an accurate comparison. The ADATA DashDrive HE720 wins. This category is for users who have a knack for archiving all content they lay their hands on and specially for those people who carry a lot of data with them. You might notice that the price difference between a 500GB and 1TB drive isn ‘t much. And people who are unsure about their storage requirements usually take into account this price difference and go with the 1TB drives. It’s not rocket science that this is economical since you get almost double the amount of space for a few hundred bucks. We ended up with nine 1TB drives and a 2TB drive for this test. Some of the drives had a sturdy build which is something we wish to see more of. These rugged drives use two or more types of padding around the drive in order to protect the drive and increase its durability. The ADATA HD710 was one such rugged drive. Some people may remember its older version – the ADATA Superior SH93 which was an ultra-durable, water and shock resistant drive. The HD710 turned out to be a worthy successor and this one also has an IEC 529 IPX7 waterproof rating. The design of the ADATA HD710 is quite similar to the older version but with a few changes. The old one was covered with rubber all-around but the HD710 is only layered from the sides. A small portion of the drive’s plastic area is exposed from the centre. It’s designed to keep up with the same two colour ideology as the older drive. There is a slit around the sides to accommodate the cable snugly. The next 1TB drive was the ADATA DashDrive HV620. The HV620 is a simple looking drive with a glossy plastic casing. Though it looks good, it is prone to fingerprints and scratches. The HV620 like all the other ADATA drives can make use of the HDD-to-Go utility to in order to install portable software on it. This drive lost a few points for being one of the flimsiest drives in terms of build quality but its performance was slightly better than the ADATA HD710. The HP P2100R looks exactly like the HP P2050B except the fact that the drive comes in red. The P2100R performs better than the Transcend StoreJet 25M3 but loses points when you bring the features and build quality aspect of the drive in focus. We only received a single drive from Silicon Power for the test which was the Silicon Power Armor A15. The Armor A15 is another one of the rugged drives in the comparison. Silicon Power seems to have meticulously designed this drive keeping protection and durability in mind because the Armor A15 meets the U.S. military drop test standards. With a full body rubber jacket around it, the A15 is well protected and has a one-touch backup button at the top to aid users while performing backups. The Armor A15 uses the Toshiba MQ01ABD100 HDD internally but it seems that Silicon Power has tweaked it a bit because the performance of the A15 in both the synthetic bechmarks and real world tests was exceptional. Seagate’s Backup Plus SRD0SP0 1TB has exactly the same features as the 500GB Seagate Slim but the major differences are the storage size and the drive thickness. Nevertheless, the drive’s performance was at par with most other drives. Similar to other Toshiba drives, the DTP110 also has an internal shock sensor built inside the drive for protection which is a welcome added feature. Next up, we have the Toshiba Canvio Connect v73600-C. This was one of the more trendy drives in the test with the user having the option of purchasing the drive in different colours. The one we received was coloured blue and had a glossy finish. We can’t stress on this much but here again we would like to mention that drives with plastic covering and glossy finishing have a tendency to get easily scratched, so you must be cautious while using them. The v73600-C has cloud storage support as well with the user getting a storage space of 10GB. Performance wise, the v73600-C was strictly average and you shouldn’t expect much from it in that department. Moving forward, we have the Toshiba Canvio Basics V63700-H portable drive which was the only 2TB drive in the test. The V63700-H has a thicker profile than most other drives but that is because the drive has double the storage space. The V63700-H has a simplistic design element to it and there isn’t anything fancy about the looks of this drive. Then again most people wouldn’t care too much about it. This drive also has Toshiba’s internal shock sensor and it seems like Toshiba has made it a standard element of the product design. At a street price of Rs.10,500 its price is twice that of most 1TB drives in the comparison test but if you really need so much space in a portable drive, you can consider the V63700-H. The last 1TB portable drive in the test was the Western Digital My Passport Ultra. This drive from is a lot similar to the older portable drives from WD and its design could’ve been better. This was the only portable drive that came with a pouch which is a nice touch. The WD My Passport Ultra supports cloud storage by making use of a standard Dropbox account. The performance of the WD My Passport Ultra was very good and it ranked among the fastest drives in our test but it wasn’t the fastest one. At a price of Rs. 5,675 this drive is a bit on the costlier side compared to the other 1TB drives. We award Transcend StoreJet 25M3 the Best Buy Award for being a great value for money and feature rich drive with some decent performance figures. But you may also like Seagate Backup Plus 1TB which was the cheapest 1TB portable drive in the test. When you speak of sheer performance, the portable drive that stood out was the Silicon Power Armor A15 and it wins the Best Performer award for having the most consistent performance in all facets of the test. Not only does the Armor A15 perform well, but it also has a great build quality with a military standard shock proof rating. We actually drop tested the Armor A15 to verify the company’s claim and we must say that the Armor A15 lives up to its expectations. And you really can’t go wrong with this drive especially since you can buy it for a street price of Rs. 5,400. The Toshiba Canvio S3600-A on the other hand is also a damn fine product for being one of the next best performing, feature-rich and well built drives that offers great value for money. 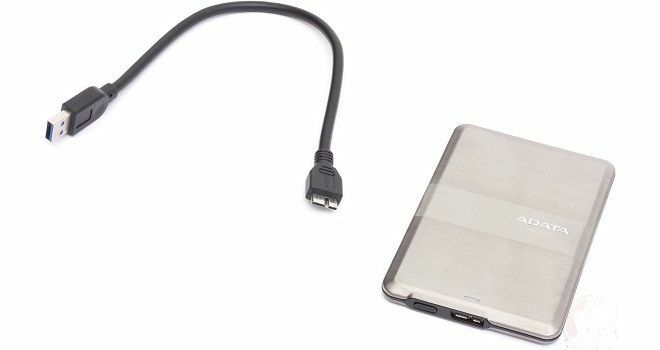 The slim design of the S3600-A is nice and will be liked by many prospective portable hard drive buyers. I want purchase 2tb usb hard disk. Which is the best hard disk? Which portable hard disk is best in 1TB?